Rhythm City moved from a riverboat to a land-based casino in 2016 and is owned by Elite Casino Resorts, one of the largest companies in Iowa. They operate a number of casinos in the region, with additional properties such as the Grand Falls Casino Resort in Lyon County, and Riverside Casino and Golf Resort in Washington County. The casino property is owned and operated by Iowans, which is a point of pride for the company. Elite Casino Resorts majority stake is owned by the Kehl family, who have deep roots in the Iowa gaming community. In fact, Bob and Ruth Kehl received the National Small Business of the Year Award from President Ronald Reagan in 1986. After closing Rhythm City for the forward-facing new construction, the casino was re-opened in 2016 and received rave reviews. The complex has a brand new 35,000 square foot casino floor with every major game of chance represented. Players can choose between blackjack, pai gow, craps, roulette and over 800 state-of-the-art slot machines that rival anything you will find in Las Vegas or other casino gaming destinations. The casino runs different events depending on the time of year. These events may offer bonuses to your player’s card, free swag, comped food and drinks, and many other benefits. Whether you want an exhilarating roll of the dice on a craps table or a quiet moment playing your favorite video slots, Rhythm City has you covered. 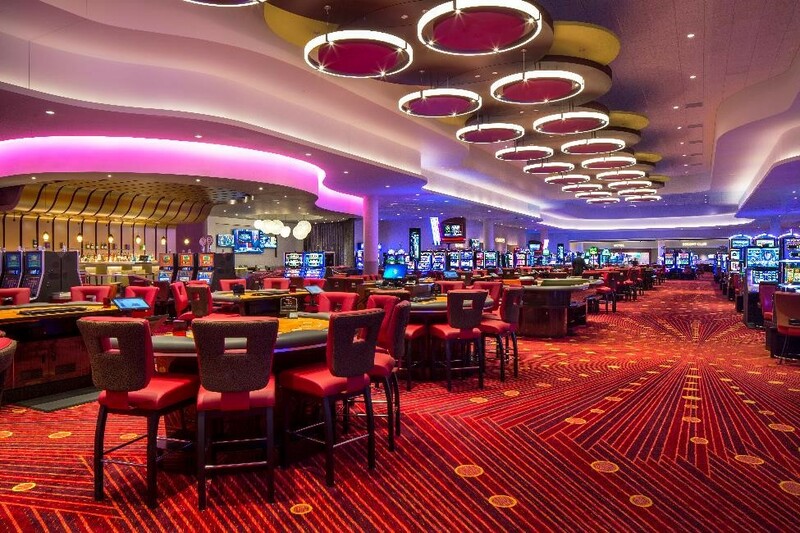 The primary casino floor has a 6-table live poker room that hosts cash games and tournaments. Both no limit hold ’em and limit hold’ em cash games run regularly. Limit games start at $3-$6, and NLHE games start at $1-$2 blinds and go up to $5-$10. There are also tournaments with a variety of buy-in levels. The poker room at Rhythm City also runs a bad beat bonus that has offered some significant jackpots. As of the writing of this article the bad beat bonus was more than $60,000! That would certainly take the sting out of your quad kings losing to quad aces! There are also a few places to grab a drink and cut loose, the High Limits Lounge is a guest favorite with its Vegas-style atmosphere. The Feature Bar is a great place to enjoy a cocktail or just hang out and play some video poker with friends. The Rhythm Room is a 21 and over event space that hosts performers from across the country every Friday and Saturday night. The 1,500+ seat Event Center offers national music acts, comedians, and other performance artists year round. An updated list of current and future events can be found at RhythmCityCasino.com. The casino is open 24 hours, and there is always a place to enjoy your evenings at Rhythm City! Rhythm City offers a gold-standard player’s club/card with the Iowa Elite Casino Resorts Resort Club. This player account is valid at all three Elite Casino Resorts in Iowa, Rhythm City, Riverside Casino and Golf Resort and Grand Falls Casino and Golf Resort. Any wager or cash purchased placed in any of these casinos accrues points towards Resort Club comp points. These points are awarded whether you win or lose and can be spent at any of their three locations. Comp points can be redeemed for meals, rooms, amenities or purchases in casino shops. There are four levels of Resort Club members. Your status is determined by how much you play. There are four restaurants to choose from at the property, all varying in price and cuisine. Each restaurant has a talented Chef D’Cuisine that manages everything from the menu selections to the day-to-day operations. No matter what time, day or night, Rhythm City’s dining options have you covered. Robert’s Buffet is a family friendly Vegas-style buffet that serves breakfast, lunch, and dinner. This restaurant offers a rotating variety of world cuisine and has a little something for everyone- even picky eaters. There are a number of specials that run for various holidays, and they offer active military members a discount of $1.99 off the regular buffer price with an active military ID. Be sure to check out the daily feature at the Chefs Table! 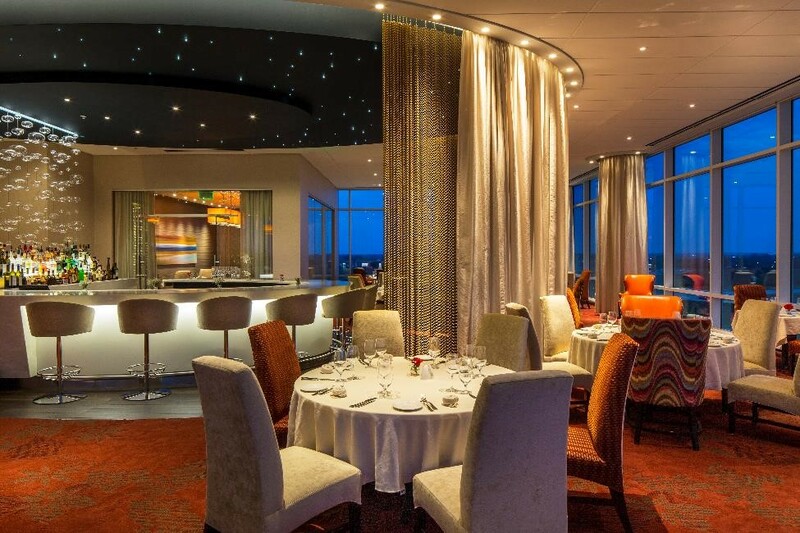 Ruthie’s Steak and Seafood is located on the top floor of the casino and offers a luxurious setting with a stunning view of the city to match. While many come for the mouth-watering steaks, Chef D’Cuisine, Peter Sedlak, has added many equally tempting options to the Ruthie’s menu that includes favorites like decadent lobster mac and cheese or a sumptuous duck entree. The Draft Day Sports Lounge is a sports fan’s paradise. The bar features a 360 degree screen alongside 18 high definition television sets placed around the restaurant. Enjoy your favorite sports in style, with everything from Golf to Football in glorious HD. This restaurant serves all your favorites like nachos, sliders, and of course excellent beer, wine, and cocktails. The space is available for special events upon request and can accommodate large parties with reservations in advance. The Market is a general store and cafe that serves up snacks on the go, bottled water, and other beverages, as well as general items for your convenience. If you forget some of life’s essentials at home, fear not, you can buy anything you need at The Market. This spot is also great for late night eats after the other kitchens have shut down, offering sandwiches, drinks, and other prepared foods after dark. No trip to Rhythm City is complete without a relaxing visit to the Aveda Spa and Salon. There are massage therapists on staff to help you relax up and rest your tired muscles. Aveda Spa offers many other amenities like skin care, body treatment, nail and waxing services, and special Men’s spa treatments. There are rolling specials provided by the spa and players can use their Resort Club comp points to purchase services at Aveda Spa and Salon. The Rhythm City Casino Resort offers all of the fun and excitement of a Las Vegas casino in the heart of Iowa. This locally owned and operated gaming paradise is family-friendly, while still being a welcoming and friendly place for casino gamers. 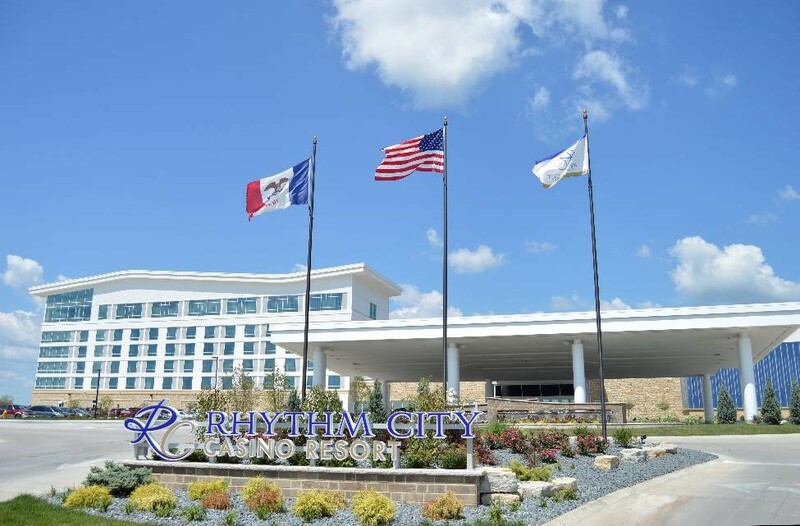 Whether you happen to be in town, or are planning your next trip, Rhythm City Casino Resort in Davenport should not be missed. For more information and reservations, visit RhythmCityCasino.com or call 1-844-852-4FUN.